The DS MX 120 approaches advanced skiers with a wider foot looking for the right boot to progress. With a 104 mm last it fits any foot shape and offers great comfort combined with a sporty flex of 120. Great performance AND comfort are possible! 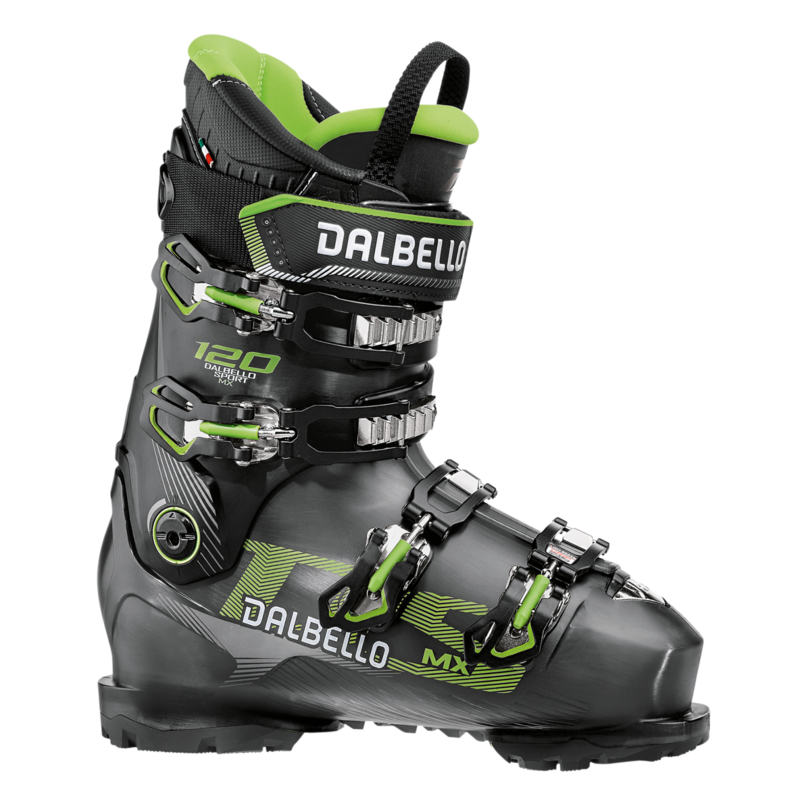 The DS MX 120 supports advanced skiers who want or need a wider boot but still look for solid foot hold and control. The flex of 120 combined with a high overlap design and the power plate make for direct power transfer and precise ski steering. The wide cuff shape allows easy entry and relaxed handling. Dalbello´s My Fit technology with thermo-formable Instant Fit liner and shell allows individual customization if needed. With The GripWalk option, heel and toe sole can be exchanged for relaxed walking comfort and more grip. The DS MX 120 GW comes with remounted GripWalk soles.